As of yesterday, (Wednesday 16th) MITIE Plc has announced the expansion of its contract with London Gatwick Airport winning a five-year extension to its contract worth £17m. The facilities management and professional services company has been working with Gatwick for the last seven years and will now maintain the relationship until at least late 2023. 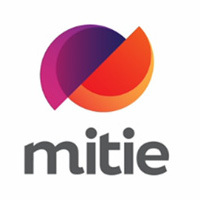 MITIE, whose clients also include Sainsburys Plc and Vodafone Plc has confirmed that this new agreement will now include electrical services maintenance, as well as continued responsibilities for building and plumbing services, cleaning and looking after flooring, fire doors and drainage. The contract, to provide critical support services, including electrical engineering, will cover the North and South terminals and property buildings. MITIE, which has experience in the airport sector to draw on was awarded the contract by demonstrating it could deliver cost-effective services that support high levels of customer service. This is critical for Gatwick, where suppliers need to be able to work flexibly to support the smooth running of the airport, which handles 46 million passengers a year. “We have spent the past seven years supporting Gatwick Airport and the many passengers who pass through its terminals, so we are delighted to continue this relationship for another five years and to expand our role to include electrical services.